Today you will come across with several insurance related to frauds and it is quite common these days. Tejas Detective Agency Pvt. Ltd.
Life Insurance is one of the best tool to providing security to any family or family members in respect to financial loss; not into emotional loss, if the earning member of the family get died. Insurance company claims include accident benefits, medical claims, theft incident claims and other related claims; we offer our services to the insurance agencies in the verification of the claims raised by the various insurance companies and individuals' claims. We carry out a thorough Investigation on Insurance Claims to verify the authenticity of the claims. Since inception, we have been focusing on developing our industry knowledge and support systems to grow as reputed national service provider to deal investigations across India. 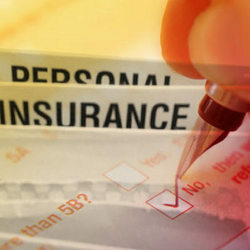 We are leading service provider for Insurance Checkup Programmes in Pune. M/s NIDAAN Corporate Services is One of the Top Most & Largest Service Provide in India with Global Presence for the Entire Investigation & Verification Services since 2005.